"Recently, an important personality in Italian cinema compared me to an orchestra conductor, always intent on exploring new variations of the same theme. It’s a description in which I fully see myself." Like all children, I had countless dreams. Mine in particular were inspired by Hollywood and the movies that I saw at the cinema with my family. 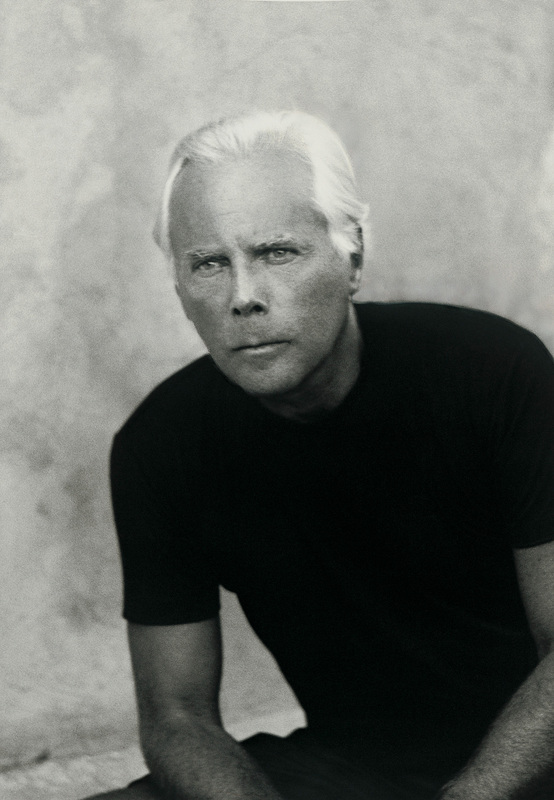 I allowed myself to fantasise in those almost sacred moments, and those images opened my mind, giving me the ideas and inspirations that are still a part of me today. My youth in the Italian post-war era was characterised by the so-called ‘telefoni bianchi’ [white telephone] American films: sophisticated comedies that sought to distract and lighten the spirit. Women were always elegant in these films, as were men in their double-breasted suits. There are a few, permeated by that neorealism which brought fame to our authors all over the world, that still hold a place in my heart: Vittorio De Sica’s Bicycle Thieves, Luchino Visconti’s Ossessione and Rome, Open City by Roberto Rossellini. They are films full of dramatic and aesthetic nuances, always pervaded by the sense of rigour and dignity that, for me, expresses the true spirit of those difficult and intense years. I was eight years old when I first saw Alessandro Blasetti’s The Iron Crown (La Corona di Ferro), a kind of pacifist fantasy that won the prize as Best Italian Film at the Venice Film Festival in 1941. The film is amazing, completely staged at Cinecittà, including the Valley of the Lions, with such an intense actor like Gino Cervi in the role of the tyrant Sedemondo. The richness of its light struck me, along with the incredible splendour of its scenes with the beautiful Elisa Cegani and Luisa Ferida. I was so impressed that I dreamed about it at night. From that great emotion came the love that I still harbour for cinematography. When I visited Cinecittà for the first time, I was about 20 years old. I remember the sense of wonder, but also the adrenaline of being in a ‘dream factory’, wandering around a movie set. Of course, at that time I would’ve liked to become an actor, as well as a director. But they were just fantasies, far from my innate pragmatism. Those childhood dreams came true when I started collaborating with the biggest filmmakers and actors in the world, contributing the costumes for wonderful films. Recently, an important personality in Italian cinema compared me to an orchestra conductor, always intent on exploring new variations of the same theme. It’s a description in which I fully see myself. After two years of medical studies and military service, I returned to Milan without any idea about what to do. I felt years had gone by and I had no profession. A friend suggested that I try the Rinascente [department store], and gave my name to the head of the advertising department. This move opened my pathways to fashion, almost by chance. I think this was precisely one of the most interesting and unexpected moments of my life, and of my career. The other exciting time was my first contact with Hollywood on the set of American Gigolo. 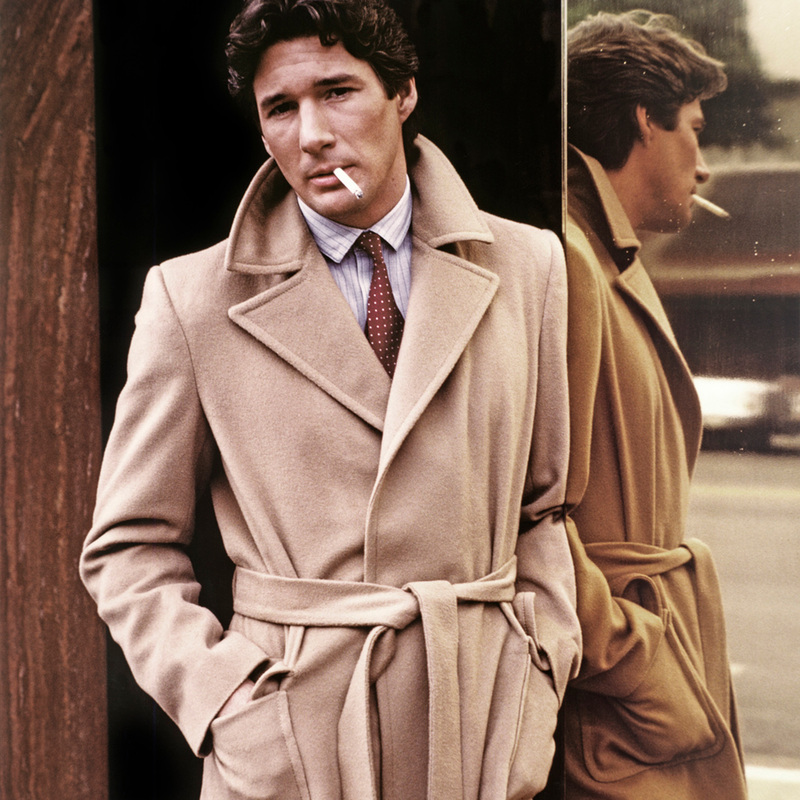 That film marked a crucial milestone in my work, and I have since re-watched American Gigolo several times over the years. In the film, the clothes from my collection were a style choice of director Paul Schrader; that style, that way of dressing, would become something of a co-star in the film, opposite Richard Gere. The scene where the clothes seemed to play on their own was striking, with a parade of ties, shirts and jackets on Richard’s bed. I remember my enthusiasm at the idea of that collaboration, the very first. No one could predict that it would be so successful, and would mark so strongly the beginning of an era. What I like most about the collaboration between cinema and fashion is this ongoing dialogue, which is necessary to create clothes that can best define the characters. In the world of film there is teamwork, a collaborative relationship, the creation and development of an idea that leads to a composite and structured final product. I think that film and fashion often succeed in giving the best of their worlds – far apart, yet so close – when they work together. I always look for elegance and a certain form of innate grace in men and women in the world of entertainment. The faces of my brand, like those whom I find beautiful in general, always have an extreme charm and personality that sets them apart from a conventional, yet impersonal, beauty. Among the actresses that I find to be the most fascinating and whose performances never cease to amaze me are certainly Cate Blanchett and Nicole Kidman. These two stark and stylish women perfectly reflect the dictates of my brand, and bring their elegance, their attitude and their strong personality to the red carpet as well as the big screen. Celebrities have a strong impact on people, who can identify with them and are influenced by what they choose to wear. Today, through the web and social media, this effect has become an even more powerful shock wave. The image of a dress worn by a star travels across the world in seconds, with a tremendous impact on the taste of the public. To the point that, on several occasions, I’ve been asked to make the same outfits as those worn on the red carpet. All this is very positive, as it confirms that my work – even that created for the stars – is never a stylistic exercise that serves as an end to itself, but is based on a solid and real idea appreciated by all of my clients. I’ve often wondered what my life would have been without film. Surely I would not have become the man and designer that I am today. For me, films were not only a youthful passion that continued into adulthood, but also a constant source of ideas and inspiration, a mine of images upon which to draw on and build my world. Films are a repertoire of visions that have indelibly forged my style, as well as the way I understand both elegance and communication. In fact, it’s through films that I first really reached the public. I’ve always responded to criticism by defending my vision and making my goals clear. Even in the face of attacks, one must remain self-confident and demonstrate determination to pursue one’s own ideas. I’ve never wanted to venture into other paths and change my vision as a consequence of external criticism, because I believed in, and continue to stay true to, the philosophy that’s underpinned my work from the very beginning. Occasionally, I’lI watch television; I follow the news regularly and, as I prefer the Golden Age of Hollywood, on DVD I have the opportunity to watch again some of my favourite movies from my youth. When I’m in Milan, I like to go to Cinema Anteo, an historical cinema with an architectural atmosphere of a ‘cinema of the past’, which fascinates me a lot. But the possibilities offered by new streaming services and the relaxation that watching television at home offers haven’t made me stray from my great love for the cinema. I won’t ever give that up.